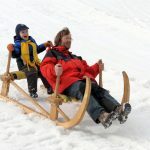 Besides skiing and cross-country skiing we often forget about classical sledging and ice-skating in countryside. Would you like to enjoy your winter time in a special way? 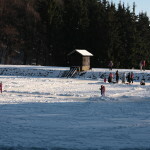 Ice-skating on frozen tajchs and sledging near them is ideal for families with children. Frozen tajchs change to wonderful ice rinks in severe winter. 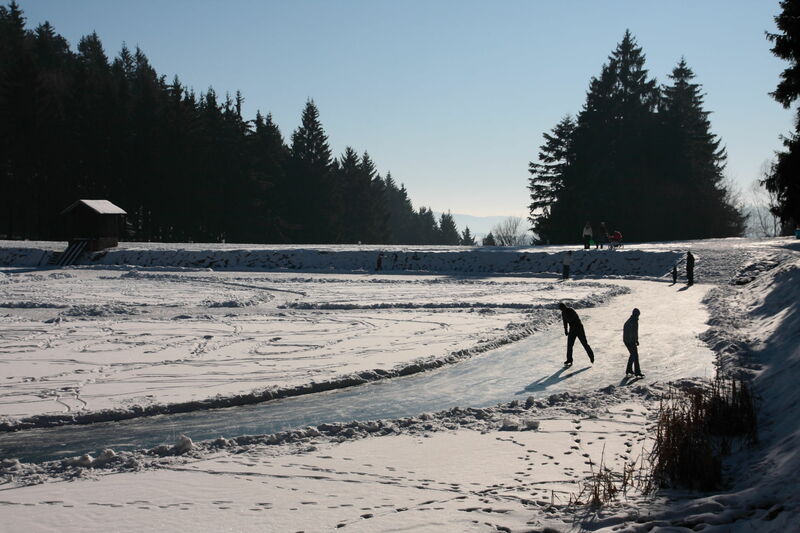 Mostly, ice-skaters can be found on the tajchs over the town: on Veľká Vodárenská (meditative ice-skating) and Červená studňa (power hockey). You can as well try ice-skating marathon across all tajchs. Time after time local people prepare night ice-skating on Veľká Vodárenská with candle lights and lanterns. This is a true Štiavnica sentiment. 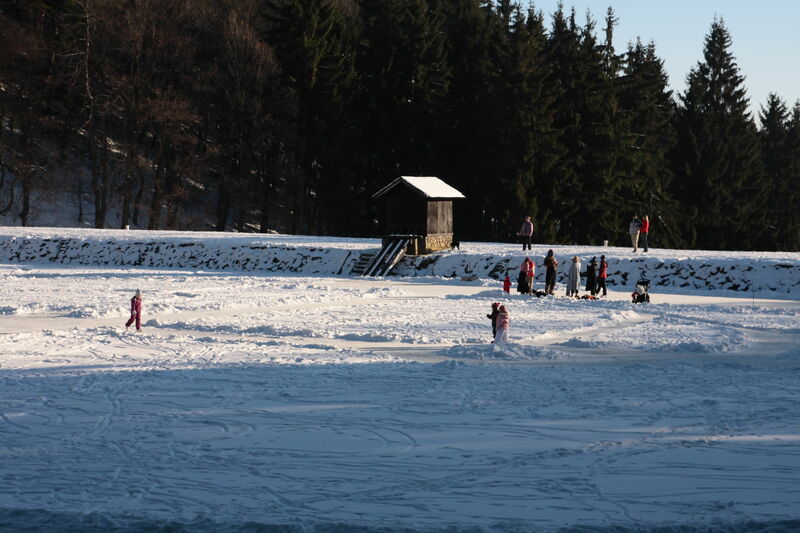 Also in Ilija and Svätý Anton seasonal ice rinks are prepared for the local citizens and visitors to enjoy them. 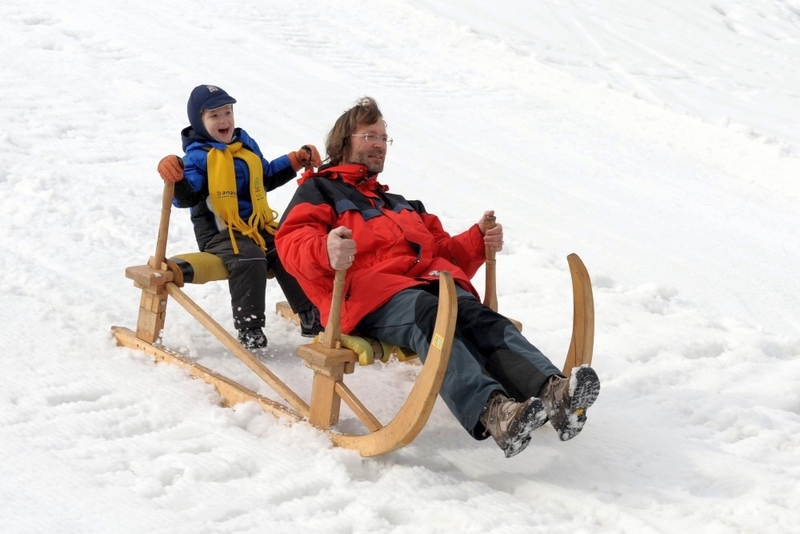 Dwellers go sledging on the slopes under Červená studňa or in Ilija, where people also ski, but those on sledges are still safe.